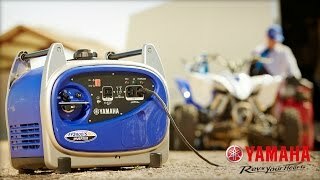 Yamaha Inverters vs. Generators | What's the Difference? 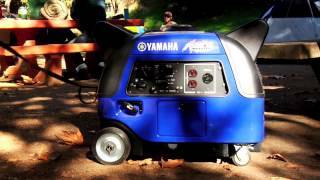 Yamaha Inverters vs. Generators | What's the Difference?Helping you decide between a Yamaha generator or inverter. 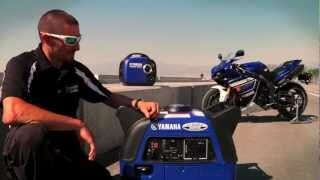 Check out the full line of Yamaha consumer and industrial inverters - generators here: SUBSCRIBE to "Yamaha Motor USA" on YouTube: View All Our Yamaha Power Products: Current Offers on Power Products: Follow us on: Instagram Twitter Facebook Pinterest Life can have many exciting, memorable experiences. Creating opportunities for them is what Yamaha is all about. Yamaha Generators - A Powerful Tradition of ExcellenceCheck out the full line of Yamaha consumer and industrial generators. 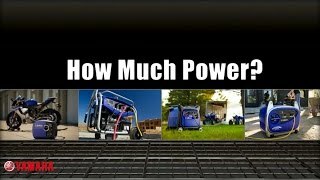 Yamaha Generators | How Much Power? | Size MattersCheck out the full line of Yamaha consumer and industrial generators here: Ask yourself what kind of power do you need and how much of it will you be using. Take a look at what questions and information you need to know before you purchase your next inverter / generator.